Prince crossing the threshold from stan to kindred spirit when it comes to Chaka Khan is one of my top 10 Prince "stories". As a pleb who sometimes wonders what it would be like to meet one of my favorite celebrities --- and knowing that I'd either faint, get tongue-tied, or blurt out something stupid that would get me slapped with a restraining order if such an occurrence happened --- it amazes me how confident and bold as hell Prince was to approach Chaka Khan. I mean, who has the guts to run a prank call on someone they've never met? Who has the galling cojones to impersonate a legendary musician in order to fool another one? Prince, that's who, and his impersonation of funk legend, Sly Stone in order to lure Chaka to the studio for a meeting is where Prince truly earns his 'bawse' stripes. "I was completely fooled,” Khan said to TIME. "He said ‘this is Sly, I’m down at Electric Ladyland.’ ‘OK, I’ll be right down!’ And that’s how he got me down to the studio. I get there and there’s nobody there except for one little guy in this room with a guitar. And I said ‘Do you know where Sly is?’ He said to me, 'Hi, I’m Prince, I called you.' I was very pissed. And that’s how we met." Still, thank goodness Chaka had a sense of humor or the "little guy with the guitar" wouldn't have become not only the man she'd call 'brother', but someone whose musical alliance would honor her with a big hit and long-lasting artistic kinship. As I work (slowly) through this series, it's obvious that Prince has a tendency to shift the dynamic of an artist and their sound, sometimes for better, and sometimes for worse. Since Chaka Khan is an established artist and a legend in her own right, she is of the tiny minority of associates who really didn't need Prince's expertise. When Prince officially came into the picture to grace her with permission to cover his 1979 cut, "I Feel For You", Chaka had a hit-laden catalog and was a well-known vocal force in funk and pop music. "I Feel For You" is interesting in how for the first time a Prince song didn't introduce a new vocalist, rather, it gave Chaka's career its second wind. 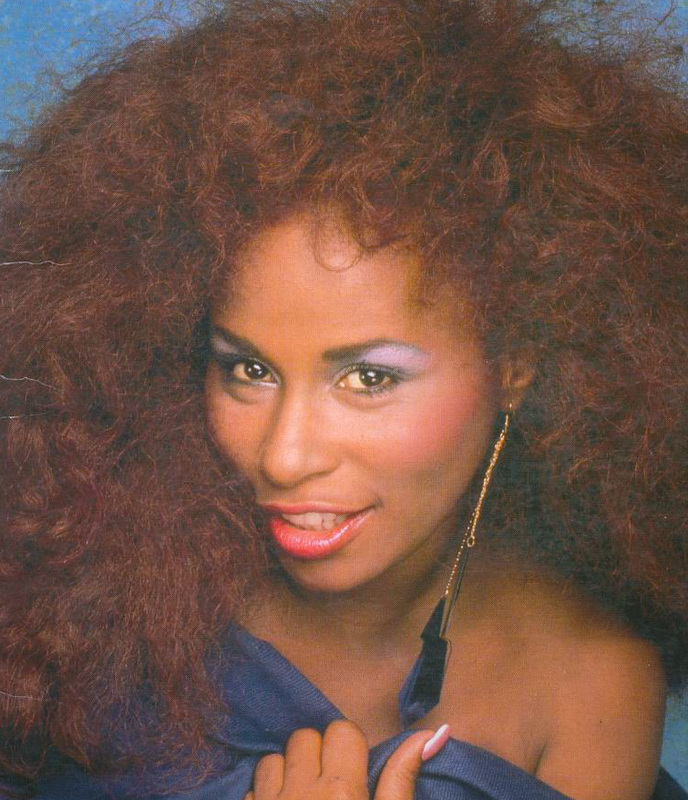 Building off the success of "Ain't Nobody", her swan song with Rufus, "I Feel For You" was the TKO punch for Chaka to solidify that she was onto the next phase of her solo career. Upon it's release in 1984, the song zipped up the charts, crossing over to the Hot 100 at a nice #3, and blessing Chaka with her biggest pop hit since 1978's girl power anthem, "I'm Every Woman". The icing was the single's energized 1980s-in-a-blender music video as it too gained massive play on MTV, back when so few Black-American artists were featured on the channel. Honest Time: Chaka's version of "I Feel For You" slaps Prince's original into the next oblivion. I'm sorry, it does. I was never crazy about Prince's original take when I first heard it, and maybe me being so conditioned to Chaka's version had something to do with it, but Prince's "I Feel For You" doesn't have the pizzazz nor the outright edge that Chaka's clearly contains. Not to mention the original didn't possess the iconic intro by Mel Melle (of Grandmaster Flash and the Furious Five fame) nor Stevie Wonder's unmistakable harmonica solo. "I Feel For You" does have a unique history prior to it's success as at first Prince wrote the song not for himself, but intended it as a demo for Patrice Rushen. As it's known, Prince crushed hard for the jazz-funk pianist, and after meeting her at a concert in the late 1970s he put pen to paper to write songs for her, and out of the writing sessions came "I Feel For You", and what would be Prince's first Gold record, "I Wanna Be Your Lover". I never noticed it before, but these two songs do groove in the key of Rushen, as I can imagine Patrice wrapping her feather-light coo around the verses, seasoning the tracks with her urgent piano riffs. Such details lends to what makes this song pretty damn significant, as it amplifies the fact that Prince --- at this early stage in his career --- was able to hone in on tonal and dictivie qualities of other artists, and write songs geared for them, and not so much in the vein of himself. Scant are the reasons why Patrice passed on these songs. I've heard that Prince was advised to keep "I Wanna Be Your Lover" in order to give himself a breakout commercial single --- something he was kind of starving for in the beginning of his career --- but as for "I Feel For You" not much is known why Prince decided to keep it, maybe with some of Patrice's funk flourish it could've made a home on her 1980 Posh album amid hits like, "Never Gonna Give You Up (Won't Let You Be)", but then often, the song may not have suited her in the end. "I Feel For You" was also previously 'test-driven' as a cover by The Pointer Sisters in 1982 for their I'm So Excited! album, and a version also appears on Rebbie Jackson's Centipede from 1985. Both versions, while competent, are topped and deemed forgettable once Chaka's version came strutting in as the lead-off single for her I Feel For You project. It being strapped with juddering synth work by Philippe Saisse and The System's David Frank, clattering drums, and Chaka's signature china-shuddering wails, just added to the ways "I Feel For You" downed a stiffer, more stimulating drink than Prince's mellowed version, or any other cover versions prior and thereafter. Of course Chaka's version is pure 1980s synth-pop, the type of style that Prince thwarted often with his ever-mutating asethetic, but I try not to write it off so easy considering how Chaka's version had an epic, and long enduring quality behind it as it became one of the many songs that steered Black music and its culture into the 1980s mainstream. Chaka had often used hip-hop's phonetic ancestor, scatting, as a ingredient in her works --- most notably on her Grammy-winning vocal workout, "Be Bop Medley" --- but "I Feel For You" utilized the then-rising trend of hip-hop with more of its visual and aural hallmarks. While the memorable 'record scratch' opening proved to be happy mistake by producer Arif Mardin, the blending of a rapper with a pop singer on one composition was one of the first, and most successful instances of such a union, and it would be a combination that would become a staple in R&B and Pop in the decades to come. "I Feel For You" as a visual game changer rests in how notable breakdancers and stars of Breakin' Shabba Doo, Boogaloo Shrimp, Bruno Falcon, and Ana Sánchez were featured poppin' and lockin' amid a day-glo and graffiti street setting. Such inclusions no doubt led to Chaka trading bars with the Fat Boys on "Can't Stop The Streets" for the hip-hop genre flick, Krush Groove, and utilizing hip-hop in her latter works. So in looking at it 30+ years later, "I Feel For You" truly became bigger than the words Prince wrote down intially and its track eight, side two placement on the Prince album. The music behind it is just as etheral, giving the impression that such a love was built within the cosmos. Another Prince collaboration, "Sticky Wicked", a spiky sparse funk groove that features Miles Davis, is also present on CK, but it stands out like an sorer, blistering thumb than the unpredictable sublime detour of "Eternity". "Eternity" also too was test driven by a previous artist, as Sheena Easton did a pretty inferior version in '86 that featured lots of operatic vocal climbs, orchestra strings, and a really cheap and puffy shoulder pad-infested video. The result is laughably bad, not only for how garish the video is but how over-the-top Easton waxes this delicate love song. To hear her version backed with Chaka's is just...glaring, it truly is a big o' pile of 'nope', and I say this as a fan of Easton. Stick with Chaka's version and you won't be steered wrong. Prince would eventually come around and produce a full album for Chaka, 1998's Come 2 My House. I'm embarrassed to say I've only heard a few songs off of it ("Spoon" and "Don't Talk 2 Strangers" for starters) and not much else, but I have a small feeling that whatever is on that particular album cannot compare to the spontaneous magic of "I Feel For You" and "Eternity".